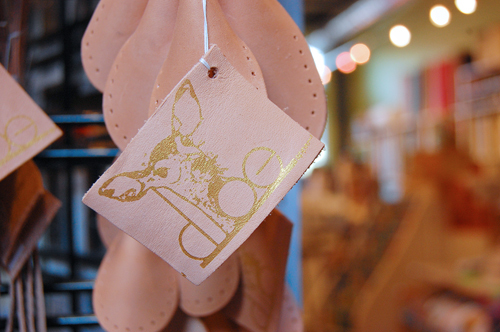 Some delightful new products are gracing the store display these days: hand crafted leather handles for bag-making from new vendor DOE. 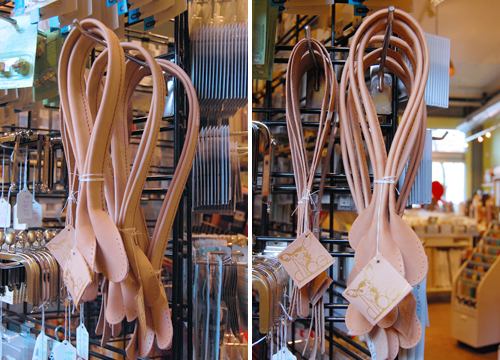 These beauties come in two styles and are carefully crafted of natural leather by our own, enormously talented Hannah. Hannah took a leather working class last year at Portland Sewing and has since been producing some very fine items for herself and her friends and family. Simple yet elegant clutches, handsome belts and smart iPad cases, to name a few. We are so pleased to offer our customers this unique and hand-crafted option for bag handles. These handles are a beautiful natural hue but can be dyed for color, or oiled to speed the natural darkening process. 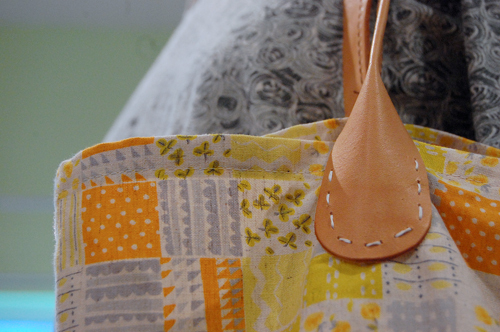 The stitch holes are nicely spaced to allow for easy hand stitching to any bag material. Hannah used a simple running stitch in the sample bag shown below which uses a mid-weight cotton, but for a heavier fabric you can use a saddle stitch. Two styles are available: a folded version (shown in sample) which comes in three sizes, and a flat strap version which comes in two sizes. Hurry in a have a look, browse our handbag patterns and get inspired to make yourself a new purse, or tote for spring. I am planning to do the same!